If quick, convenient, and easy cooking is your way to delight your family with hearty and tasty meals, you must have a pressure cooker handy. Whether you are up for a large or small pressure cooker, read on to choose the one which definitely matches to your specific needs. Try to pick pressure cookers that are made of stainless steel because they can better prevent scratches, fingerprints, corrosion, and warping. It looks elegant and stunning for longer. In addition, stainless steel lasts longer and doesn’t cause reaction to foods. It has sleek, compact design. But it is more expensive as compared to aluminum cookers. On the flip side, pressure cookers made of aluminum are least expensive and it distributes heat far better than stainless steel. But it is softer and also vulnerable to scratches and dents. It also leaches acidic foods. Durability and price are the two important factors to choose between two metals. Cookers made of aluminum distribute heat evenly, are very affordable, but they cannot beat stainless steel when it comes to quality and looks. Stainless steel is worth every penny for its build quality. Modern stainless steel pressure cookers have aluminum base for even distribution of heat. So, they have best of both worlds. Even though your budget doesn’t allow, we still recommend you to go with stainless steel cooker because it’s your one-time investment which pays off for a longer period. Best Size for Pressure Cooker – The size of a pressure cooker varies according to the number of family members and your cooking styles. 6 Qt – It is ideal if you have more than two members in your family. You can cook most number of recipes with this size. 8 Qt – If you are cooking in bulk or have large family, it is best suited for you. Brand – Brand also matters when choosing the best pressure cooker. Choose the good pressure cooker brand which has great financial background and has been in business for decades. Over time, you may want to replace parts. So, you have to ensure that the company will still be operating when it comes to buy parts. Keep in mind that you cannot use parts from other company. Safety – Another important thing to consider is safety features when it comes to buy electric pressure cookers. Intense pressure and steam can blast your cooker. So, you should buy a pressure cooker which has secure lid locks, pressure indicators, and good release valves. 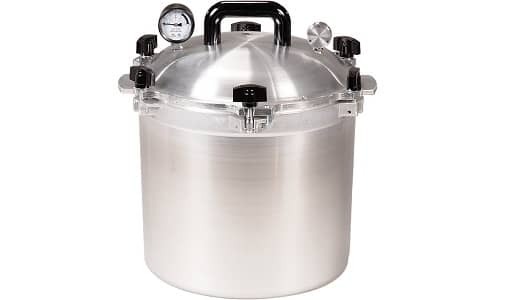 Pressure Regulators – Choose the pressure cooker with regulator with max 15 PSI or pounds per sq. in. Most recipes are prepared for that standard pressure. If it has lower pressure, it will eventually slow down the speed of cooking. Well, you can choose from three regulator types. Weighted Valve Pressure Regulators are used over the vent pipe to keep steam inside. Make sure it is detachable for proper cleaning and is not blocked before using every time. It starts cooking when it rocks. Make sure it rocks calmly so everything is fine. If it becomes silent and stops, inspect it quickly. Spring Valve Pressure Regulators have 1-inch pop up valve which indicates pressure. You may choose either 10 PSI or 15 PSI and they are quite costly. These regulators are quite silent and you need to inspect it closely. Modified Weighted Valve Pressure Regulators release steam in even bursts and are fixed to pressure cooker to access 15 PSI. These are not that expensive but more than weighted one. But it is too difficult to find out when steam will escape. Steam releases eventually with lower temperature. Handles – It is one of the most overlooked features when choosing a pressure cooker. 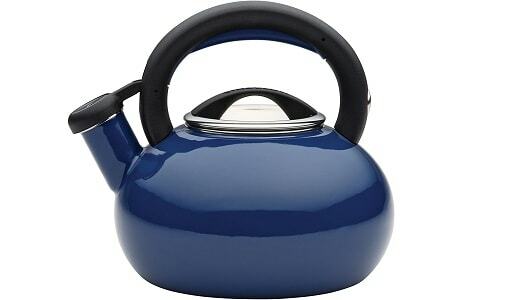 You should also inspect it for durability as you would want to lift a pot which is full of food. It should be ergonomically designed and safe. Hold a pressure cooker before using it and make sure it fits in your hands well. Make sure handles remain cool on the stovetop when they are exposed to heat. Note: All of the products listed and reviewed here are our top picks and are of good quality. Our list is based on our thorough assessment of each product through comparison and user comments. It is a complete guide to help you choose the best model to meet your needs. The cookers listed here are designed to meet the standards for being durable, safe, easy to use, energy-saving, multi-functional, and Eco-friendly. When looking for best pressure cookers for 2018, we have narrowed down the list of top ten products providing value for money and true quality. Designed by Canadians, Instant Pot is a reliable, convenient and safe electric pressure cooker which boosts your cooking speed by 2 to 6 times while saving up to 70% energy and makes products healthy and hearty in a consistent and convenient way. 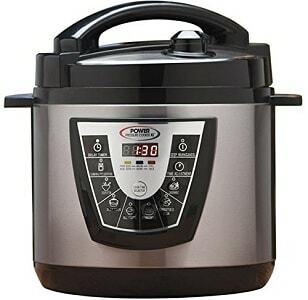 It is a 7-in-1 programmable pressure cooker. It means it does the task of 7 appliances by serving as a rice cooker, slow cooker, steamer, yogurt maker, warmer, sauté, and pressure cooker. Another icing on a cake is its 14 in-built smart programs like Meat/Stew, Soup, Poultry, Bean/Chili, Saute, Rice, Steam, Multigrain, etc. to cook the dishes you can’t live without by just pressing a button. 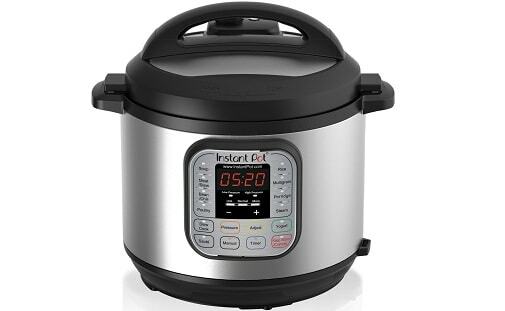 Its Instant Pot is almost calm and never lets any steam to leak out. All the aromas of your cooked food is locked inside without heating up your kitchen. 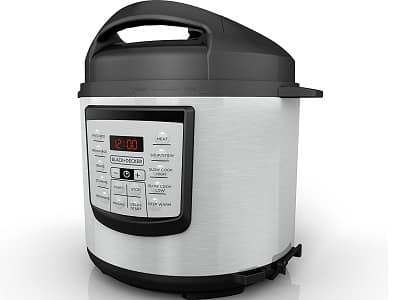 The instant Pot DUO80 8 Qt 7-in-1 Multiuse Programmable Pressure cooker features 3-ply stainless steel bottom pot which is very sturdy and is completely safe, unlike non stick coatings. The lid holders in its slim body are suitable for both right and left handed use. It is coated with brushed S.S. steel which resists finger print and scratches on the exterior. It has durable and beautiful design due to which it is pleasing to use and clean for many years. The microprocessor inside keeps tracks on the temperature and pressure and adjusts intensity of heat accordingly. To ensure proper cooking, the programs have been tested sparingly. It gradually retains consistence and improves cooking outcomes. The Instant Pot designed in it can avoid a lot of errors which could affect food quality. For unmatched quality and safety, it underwent strict UL standards to protect you with its patented technologies and 10 effective safety mechanisms. Presto 01370 Stainless Steel Pressure Cooker is a smart choice for your family to enjoy hearty, delicious meals. 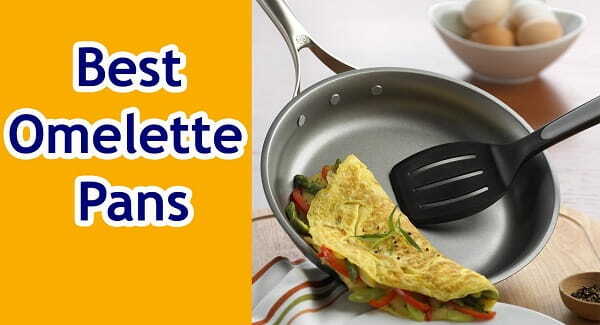 It cooks your delicious recipes fast and easy to save you a lot of time, money, and effort. 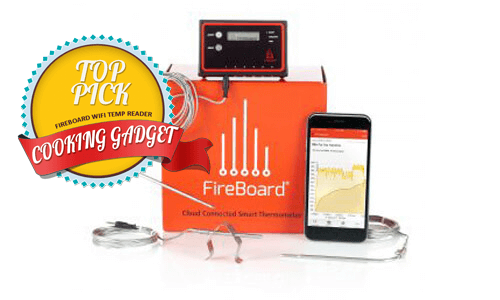 Cook your favorite steak, chicken, fish and veggies in minutes flawlessly. Made of stainless steel with tri-clad base, the pressure cooker provides even, fast heating, and is good for use on smooth-top and regular ranges. The pressure regulator on the stainless steel cooker retains proper pressure with ease. The pressure cooker is also very easy to clean. Enjoy the easy ‘quick cool’ feature to get your delicious meals within minutes. It features S.S. steel basket to cook multiple meals at once without mixing aromas and flavors. 4. 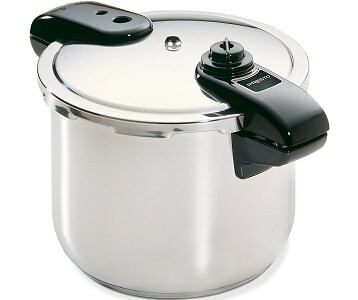 Power Pressure Cooker XL 6 Qt. Power Pressure Cooker XL is blessed with unique flavor infusion technology which locks steam within. Thanks to this high-pressure cooking, moisture and liquid are locked in your food, delivering all the goodness of nutrients and flavor. The smart 1-touch settings are the USP of this pressure cooker that are best choice to cook fish, meat, beans, veggies, soup, rice and stews. Your Power Pressure Cooker XL is 70% faster to get your loved slow-cooked food ready and to cook 1-pot dishes with just one touch. 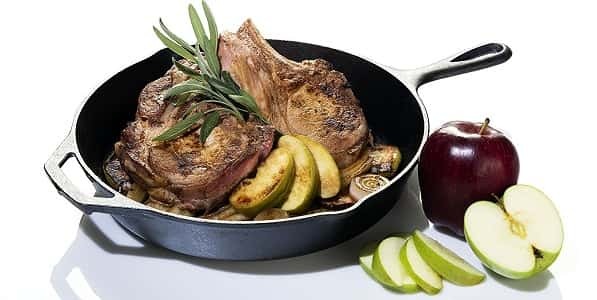 Its patented flavor infusion technology retains all the nutrients and flavors inside to cook hearty and flavorful meals. It is available in both 6 Qt. and 8 Qt. sizes for your family needs. The All American 921 is a pressure cooker canner which is safest for home cooking. It is the best choice to can fish, meat, chicken, and vegetables with the pressure recommended by the U.S.D.A. This unit can help you prepare large amount of food and it can pressure cook meat which cuts well to juicy tender in short time. It has precision “Metal-to-Metal” machined sealing system. It has clamping locks to keep the cover to the base aligned and form steam tight lock. The cover is easy to close and open as it doesn’t involve any gasket. 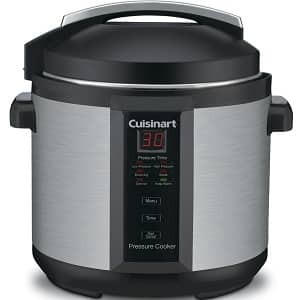 The Cuisinart CPC-600 is a 6 quarter 1000W electric pressure cooker to cook healthy food without waiting for hours like slow cookers. It saves the time to stand around for food by around 70% while providing balanced and healthy meal every day. 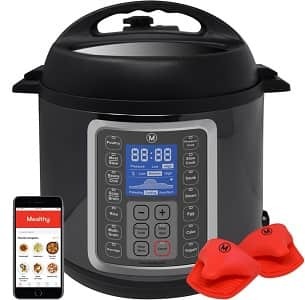 It features easy to read display system to program and use accurate thermostat to get the best results from electric pressure cooker from time to time. The timer will let you know when your food is ready and you just have to serve and eat it when it is at highest temperature, flavor, and nutritional value. 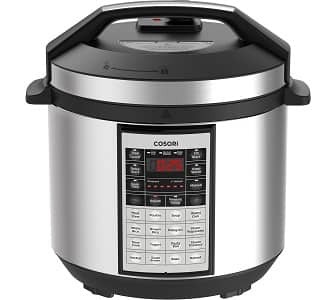 COSORI 6 Quart 8-in-1 Multi-functional programmable pressure cooker is designed to prepare your meals in minutes. This automated appliance has state-of-the-art functions to support your health-conscious, fast paced lifestyle. It keeps you safe with unlock indicator. It indicates if lid is not secured well. 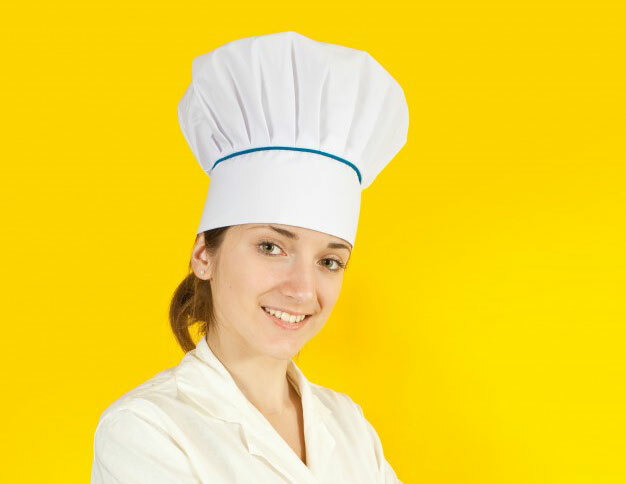 There are three cooking programs – Saute/Brown, Pasta/Boil, and Hot Pot. 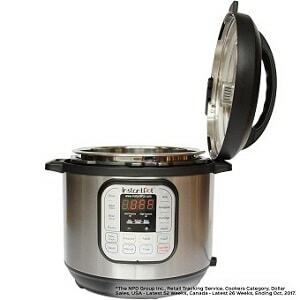 This programmable pressure cooker from Mealthy Multipot is among the best stainless steel electric pressure cookers with superior price-performance ratio. You can do different tasks with this pressure cooker, such as making cakes, yogurt, cook rice, warm leftovers, slow cook, sauté, pasteurize, and steam. It has stainless steel steamer to make two dishes at the same time and a pot made of stainless steel. It has 14 cooking programs to make your kitchen life easier when it comes to prepare a meal. Mobile app to control it on the go. Black & Decker 6 Quart 11-in-1 Cooking Pot is incredibly user-friendly and convenient pressure cooker which earned a lot of accolades from experts and users alike. It has very innovative digital controls, over 7 dedicated pressure features, and 4 non-pressure controls. It makes cooking a lot faster and easier. 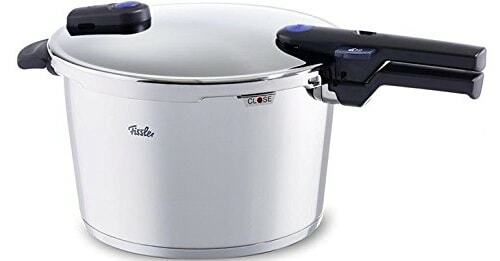 Fissler 8.5 Qt. Vitaquick pressure cooker is both modern and smart. It’s has more to offer rather than just what your grandmother’s pressure cookers offered in the past. Its innovative and sleek design is best for both pros and newcomers in pressure cooking. With fail-safe features, it is silent with steaming pressure. This pressure cooker is 100% dishwasher safe and is made in Germany. It truly justifies the reputation of Fissler. All the ingredients will be cooked faster. On testing stage, it needed just 11 minutes to cook carrots, and it saved more than half of time for cooking broccoli and potatoes. All in all, it can save up to 50% of cooking time. By paying just a hundred dollars, you can invest in a top quality pressure cooker which can prepare healthy meals for you in minutes. You and your family will pride in having a fast, convenient, and secure pressure cooker. The pressure cookers listed above are your one-time investment that will pay you off for years by cooking finest meals for you and your family. Don’t compromise quality for price as it may break your overall cooking experience and you will need quick replacement for low price. To ensure convenience and simplicity in cooking, be sure to choose pressure cookers which are smart and strong enough to last longer. After all, your brand new pressure cooker will save you more time to spend with family. We hope you’ve liked this guide to make an informed decision.